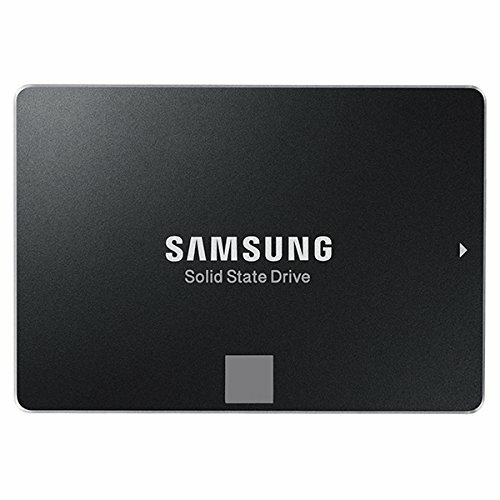 Samsung SSD 850 EVO 2.5-Inch SATA III Transform your PC with the Samsung 850 EVO 2.5-Inch SATA III SSD. Featuring Samsung V-NAND technology and Dynamic Thermal Guard protection, the 850 EVO ensures the integrity of your data even under heavy workloads. The 2.5-inch form factor is an ideal fit for most desktop PCs and laptops. With exceptional read/write speeds and TurboWrite technology, the 850 EVO can easily handle high-intensity tasks such as video editing, data analysis, and gaming. Powered by Samsung V-NAND Technology. Optimized Performance for Everyday Computing. Endurance, Reliability, Energy Efficiency, and a 5-Year Limited Warranty. Included Contents: 2.5" (7mm) SATA III (6GB/s) SSD & User Manual (All Other Cables, Screws, Brackets Not Included). Included Contents: 2.5" (7mm) SATA III (6GB/s) SSD & User Manual (All Other Cables, Screws, Brackets Not Included). Samsung MZ-75E1T0E is the business / integrator equivalent to the MZ-75E1T0/AM.